The day before Mitch and Bri’s wedding, we drove from Minnesota to Omaha, Nebraska. It’s normally a six hour drive, but snowstorm Bella hit at just the wrong moment and six turned into twelve white-knuckle hours in the snow. Like every good journey story, a treacherous road led to a worthwhile destination. Bri and Mitch’s wedding was wonderful, and we were especially honored to meet Mitch’s grandmother, who took the time and precious energy to talk with us about Bri and Mitch. Mitch also had a good journey story to tell: his proposal in a hot air balloon. Sounds peaceful, right? If you’re considering proposing in a hot air balloon, you must hear it! 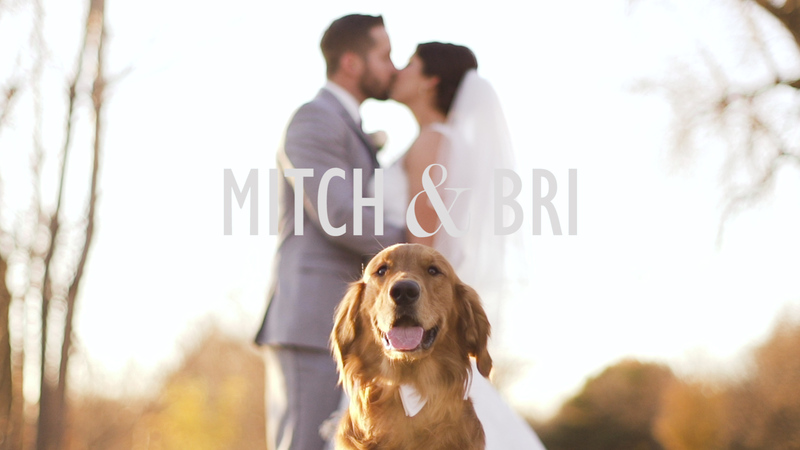 We were so happy to meet Mitch and Bri and capture their wedding. Congratulations, you two! So enjoyed seeing this video, Brianna. It was a beautiful wedding—-beautiful bride and handsome groom; and these pictures bring back lots of memories. Thank you for sharing this—and thank you so much for your visit today. Was so good to see you again, and meet your new little son, Tristen. What a cute little guy he is; so special. And, to see Penny and Megan, also. You are all so missed!!!!! Please take good care of each other—-with lots of love to all of you.